Do You Need an Estate Planning Attorney? Your family is your top priority. In the event that anything happens to you, you want to make sure that they are protected and provided for. An estate planning attorney can help you do just that. If you’re looking toward the future and are thinking about planning your estate, you’ll want to secure the legal counsel of an experienced estate planning attorney. What exactly does an estate lawyer do? How can this professional assist you? What should you consider when hiring a trust law attorney? Below, you’ll find the answers to these questions so that you can make the best decision for your future and the future of your loved ones. As the title implies, an estate lawyer is a professional that assists you with dividing your estate so that you can ensure your assets are distributed the way you would like them to be. This type of lawyer not only drafts and finalizes lasts wills and testaments; professionals that specialize in this type of law can also serve as a trust law attorney, a probate attorney, a guardianship attorney, and a living trust attorney. In other words, an estate planning lawyer will help to ensure that your future – and the future of your loved ones – is accommodated for in the event that something happens to you. For example, he or she can assign guardianship to an individual that you have selected of your choosing should you fall ill and he or she can prepare your health care directives to ensure that your wishes are granted in the event that you become incapacitated. An estate lawyer will make sure that all of your affairs are in order; for example, this professional will ensure that your assets are distributed according to your wishes and that you receive the care that you require in the event that you are no longer able to make decisions regarding your health. Additionally, an elder law attorney will prepare and validate all necessary documents to ensure that they are enforceable. Without the legal counsel of an attorney, your loved ones will be left to handle your affairs, which can prove to be a challenging situation, as they may not know how to divide your assets according to your wishes or your dependents may not receive the care that they require. With the counsel of an attorney, you will have peace of mind knowing that your final plans will be carried out in the manner in which you would like them to be. Specialties. 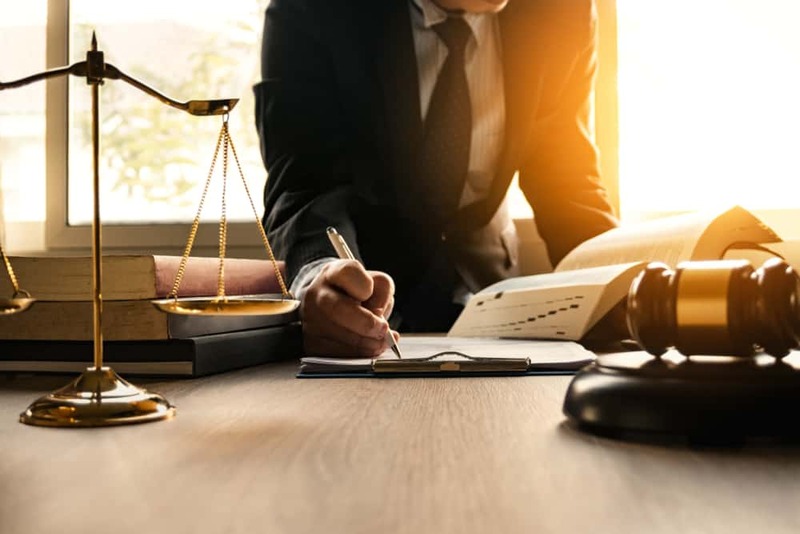 It’s important to choose a lawyer that specializes in estate law and is well-versed in all aspects that pertain to this type of law, including trusts, probate, and guardianship. Experience. Choose someone who has ample experience. Find out how many and what type of clients the attorney has represented and whether or not they will represent you in court should you require defense for any reason. Additionally, you should consider how long the attorney has been practicing this type of law. The longer the lawyer has been practicing, the more experience he or she will have. While someone who has been practicing estate planning for a year may be knowledgeable, someone with 10 years of experience will be well-versed in all of the intricacies that are associated with this type of law. Reputation. Take the time to learn about the attorney’s reputation. Ask people you know who may have worked with the individual for their input; ask for and read reviews; contact your State Bar Association. You want to work with someone who has a positive reputation and a proven track record of success. Planning for the future is one of the most important things you can do; for yourself and your loved ones. A reputable estate planning attorney will ensure that all of your affairs are in order so that your final wishes are carried out exactly how you want them to be.